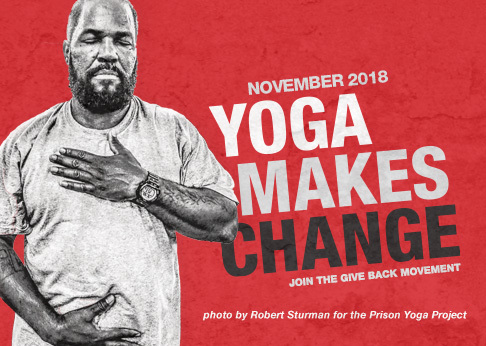 Simple but effective yoga practices to support veterans who may be coping with post-traumatic stress disorder (PTSD) and psycho-emotional stress. This practice guide can be purchased individually at retail price, or at a discounted bulk price for distribution to students. NOTE: Shipping services are currently in transition. To place an order for this product, please email suzanne@mindfulyogatherapy.org. Now available in a “new and improved” reprint, this collection of simple but effective yoga practices was developed by the authors through practical and clinical experience in working with veterans coping with post-traumatic stress disorder (PTSD) and other psycho-emotional stress. While benefiting trauma patients safely and comfortably, the practices can be used by anyone dealing with stress. The book includes a supplementary poster and links to download or live stream two audio resources: Suzanne Manafort’s “Breathe In, Breathe Out: Quick and Easy Breathing Practices to Help Balance the Nervous System,” designed for the Mindful Yoga Therapy program at the PTSD Rehabilitation Residential Program (PRRP) in Newington, CT; and “Deep Relaxation: Yoga Nidra” with Patty Townsend, a master teacher with a background of over 40 years in yoga and meditation. Read what veterans and yoga instructors are saying about Mindful Yoga Therapy. How you’re giving back: By purchasing this practice guide at retail price, you’ll fund three free copies of this valuable resource for veterans, active duty service members or military families. Teachers, therapists and administrators: place a bulk order for this multi-media practice guide for distribution to those you serve, and receive a discounted price of just $5.50 per guide.